The Office of the Public Defender has existed in Kane County since the 1960s, with the position of the Public Defender becoming full-time in the early 1970s. 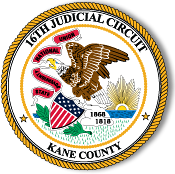 The mission of the Kane County Public Defender's Office is to provide quality legal representation to indigent persons charged with criminal offenses or whose rights as parents are in jeopardy. The office represents persons charged with traffic offenses, misdemeanors, felonies, abuse and/or neglect of children cases, and juveniles accused of crimes.